We really dig the blend of style, functionality and versatility in these pants. One side has his favorite safari animal silhouettes. Reverse side is more classic with contrasting stripes of blue and white. 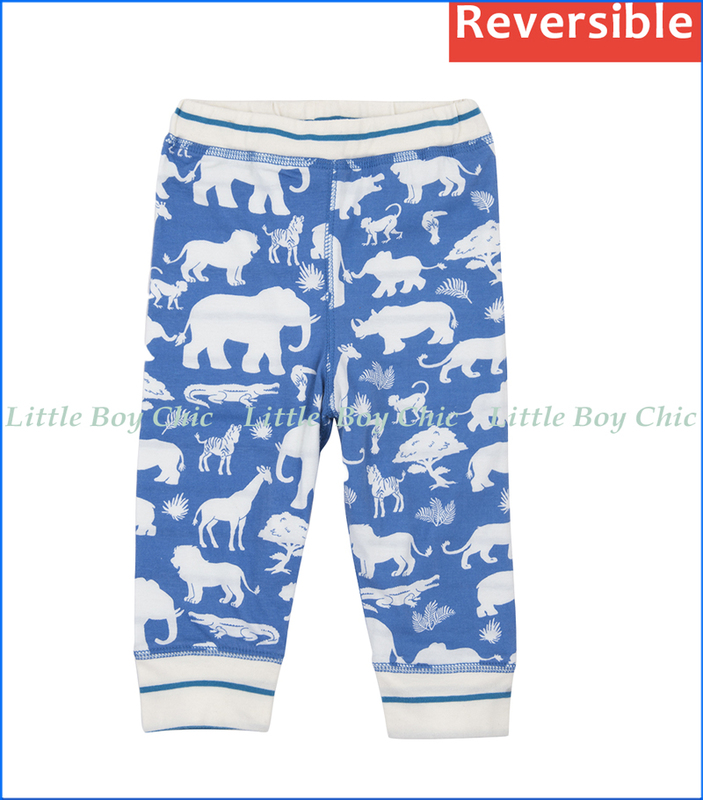 Elastic waist and cuffs with single stripe. Quality cotton for soft hand feel. 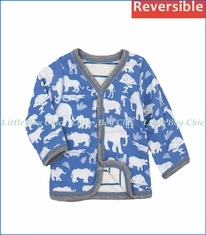 Pair with Hatley's Reversible Safari Cardigan Sweater.